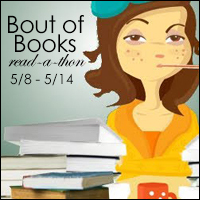 If you didn’t catch my post on Sunday, I’m participating in the Bout of Books Read-a-thon. It’s a fun event aimed at reading lots and participating in challenges too. Check out my sign-up post to see my read-a-thon TBR. And follow the read-at-thon on Twitter by searching #boutofbooks. Over the last two days I’ve snuck in a bit of reading on both my print book (Grace Kelly) and my audio book (Simon). I haven’t yet finished a book. 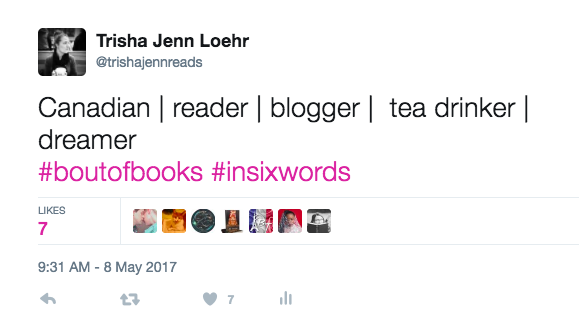 I participated in the #insixwords challenge on day one. 2. And here is challenge number two! Not a font: Share a book cover where illustrations are part of the typography of the title. 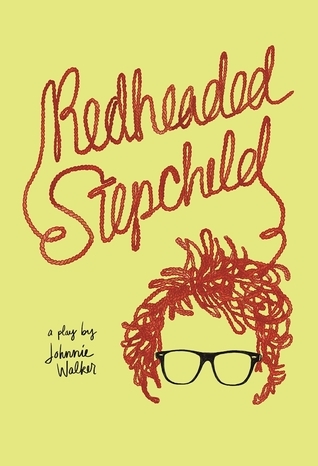 Redheaded Stepchild by Johnnie Walker. This book is actually the script for a play. It’s sitting on my shelf waiting to be read. I know it will be really funny and really sweet. Nicholas is a twelve-year-old with red hair whose dad just remarried. His new stepmom is a chain-smoking, ex-Jehovah’s Witness. Tomorrow at lunch, the biggest boy in grade six plans to beat him up—he even made a Facebook event. Should Nicholas skip school, even if it means missing the chance to audition for the class play and impress his English teacher? How cool is that cover? With the title text made of the same squiggly rope as the boy’s hair? I love it. How is your read-a-thon going?